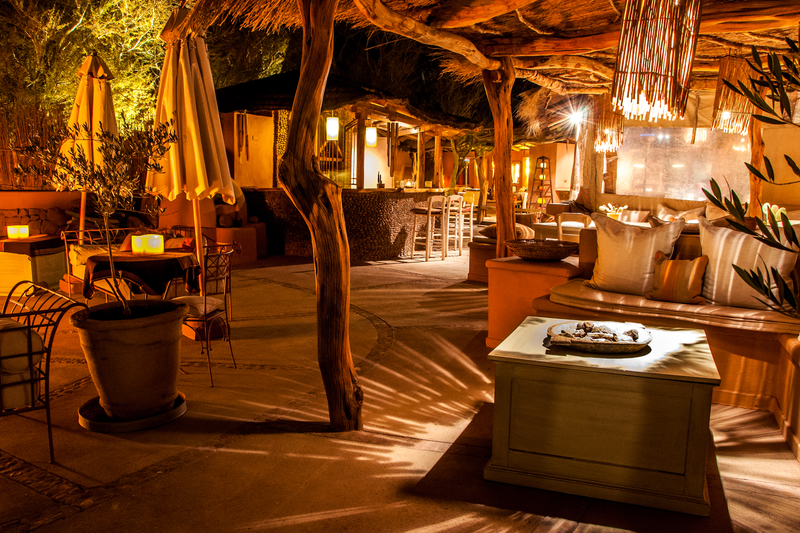 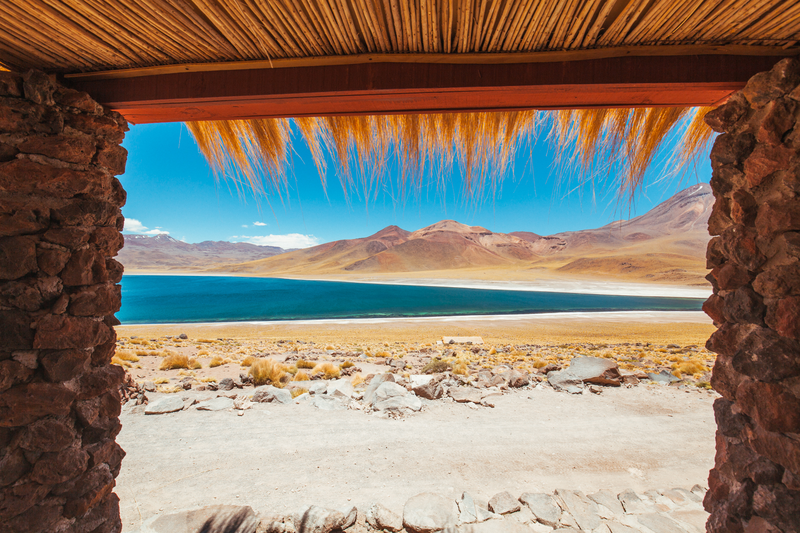 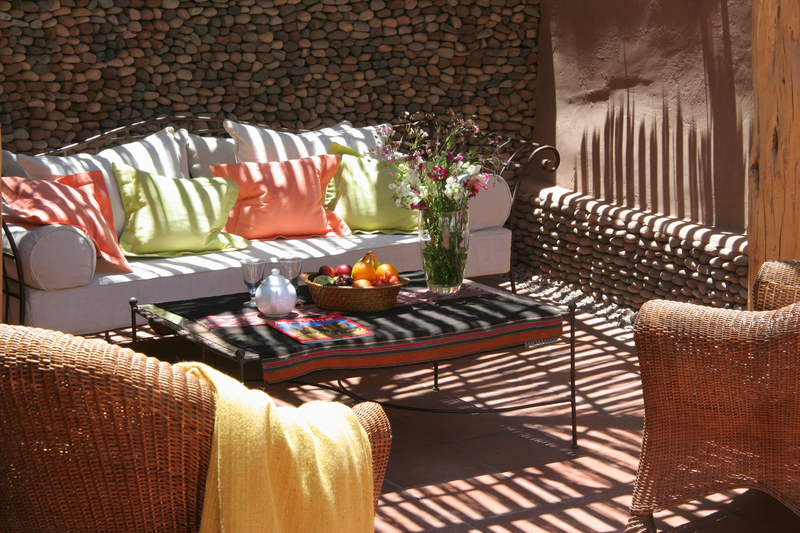 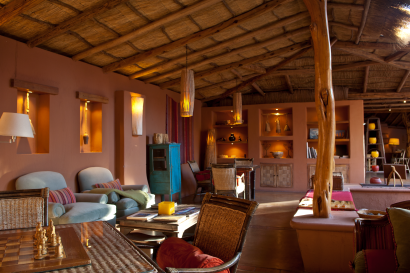 San Pedro de Atacama has always been an oasis on our guests’ journey. In an ancient site bounded by a historic wall that historically sheltered shepherds and herders, we erected a house of adobe, stone and wood, in which to continue the noble task of welcoming travelers who wish to live the memorable experience of the Atacama Desert. 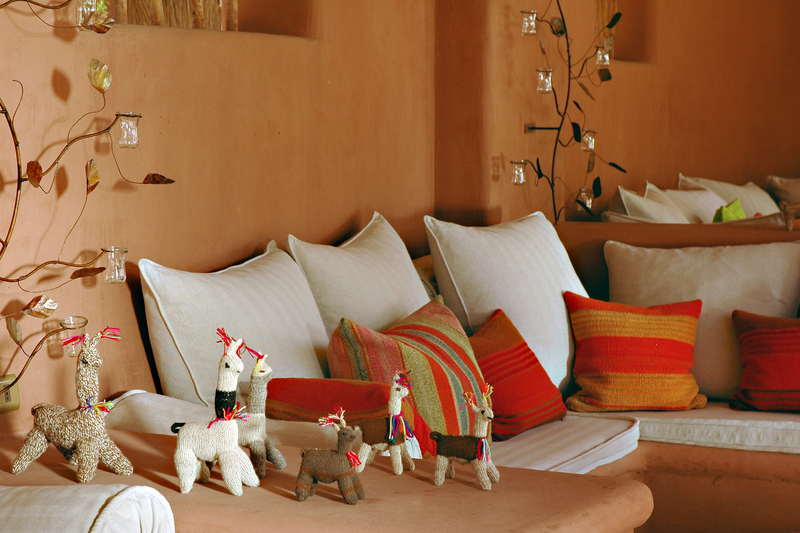 Since 2007, we have continued to offer tailor-made stays, accentuating with details the culture and nature of the Atacama Desert. 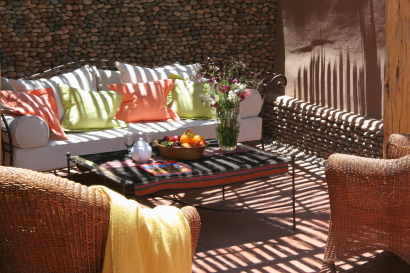 We stand out from the rest by providing each guest personalized services and experiences. 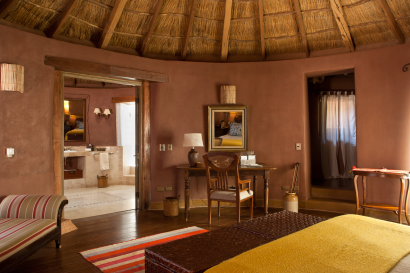 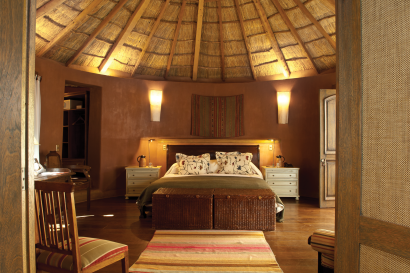 Awasi is the only lodge in South America that assigns a private guide and vehicle per room. 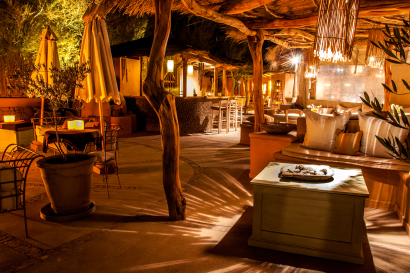 Thereby, we adapt all our excursions to our guests’ tastes and preferences, without them having to adapt to the needs of other guests. 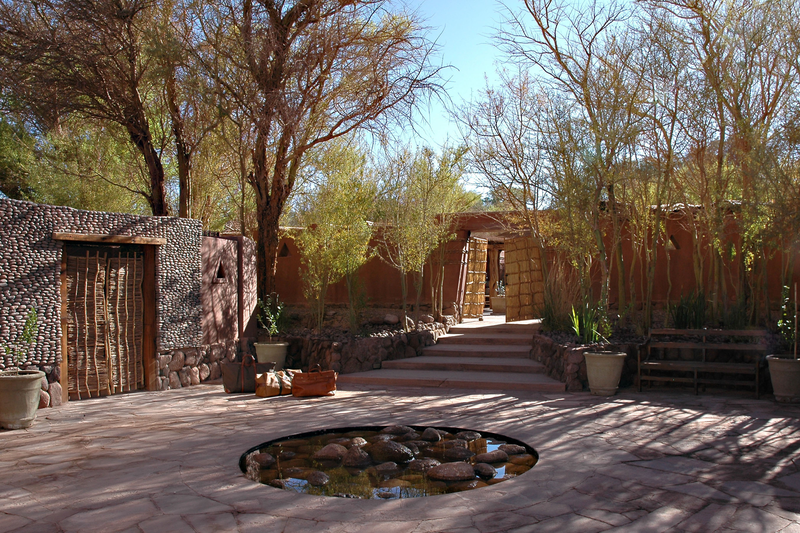 Awasi is located in the town of San Pedro de Atacama, a few blocks from the historical center, the market, the old church and the Square. 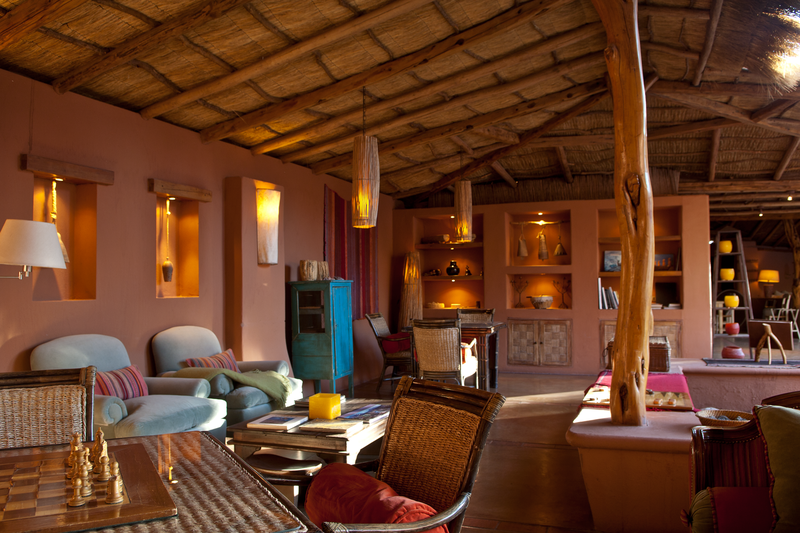 This proximity allows our guests to get to know the authentic “town life”, while enjoying their intimacy in our hotel. 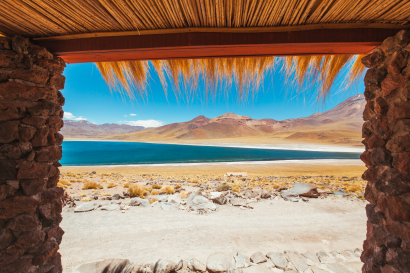 Children between 5 and 12 years of age, pay 30% of the regular rate. Children between 13 and 18 years of age, pay 50% of the regular rate. 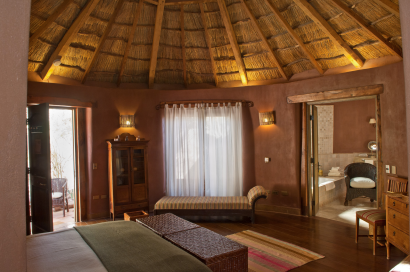 The hotel has only ten rooms built of stone, adobe and wood, with thatched roofs. Bathtub and Shower, Private Patio and outdoor shower, Desk and reading chaise lounge, Walking closet. 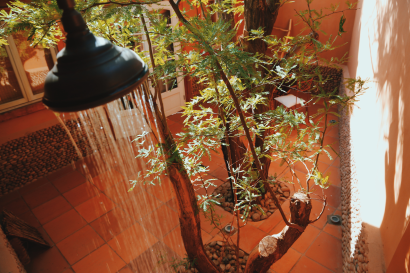 General: Bathroom amenities, Hairdryer, AC, Air Humidifier, Ceiling fan, Nespresso Machine, Safe, Wi-Fi. 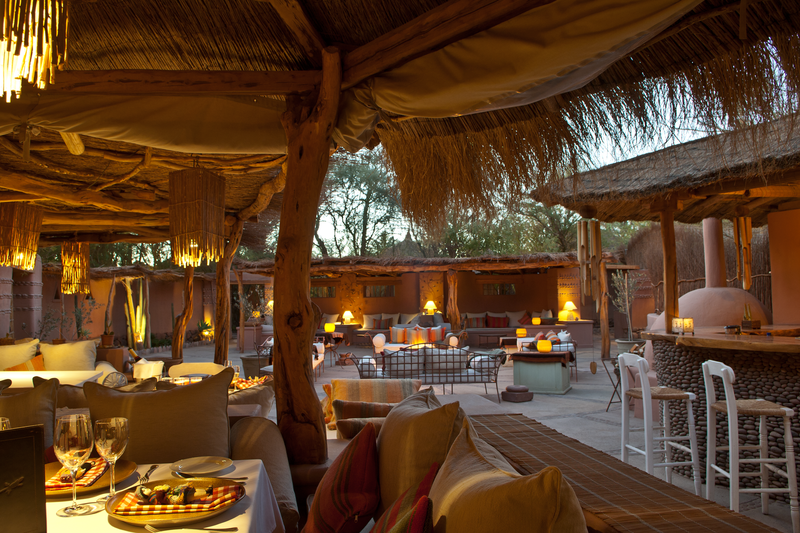 Our restaurant, for the exclusive use of Awasi guests under our All-inclusive programs, offers a daily selection that highlights local gastronomy, adapted to our guests requirements, and provides the culinary excellence that characterizes us as Relais & Chateaux members. For over 9 years, Chef Juan Pablo Mardones has headed the Awasi Atacama restaurant team and devotes much of his time to studying and seeking native staples and local producers, using ingredients from the desert such as different varieties of potatoes, the chañar sweet fruit from the Chilean chañar tree, quinoa and algarrobo (carob tree), so that our guests can relish in a true local dining experience: bringing the desert to each one of the dishes that we offer. 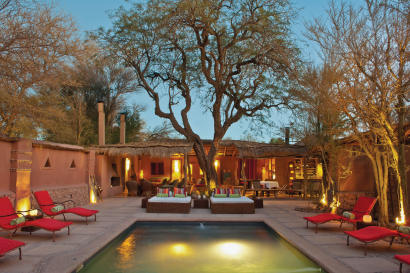 Awasi includes 1 full day of excursion or 2 half day excursions per day during each day of the programs. Each couple can program their outings according to their own rhythm and particular interests, and will be accompanied by an experienced private guide willing to share their knowledge of the place and his own experiences and they will be assigned their own vehicle.